Are you searching for red diesel suppliers in Leicester? Crown Oil is one of the most trusted national red diesel suppliers and can deliver any type of fuel, anytime to customers in Leicester. 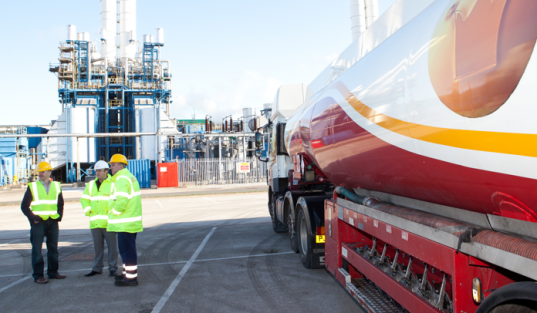 With over 70 years of experience delivering gas oil, we have the knowledge and experience to help you run your business around your fuel supply. We understand how important punctual diesel deliveries can be. Our customers know they can rely on us. In-case of a fuel emergency, we will do our best to deliver your red diesel fuel within hours. Our 24/7 out of hours emergency delivery service means we can deliver even during the weekends. Call us on 0845 313 0845 for more information or to order bulk quantities or 205 litre barrels of red diesel. Leicester, with an estimated population of 289,700 is the largest city in the East Midlands area of England. Home to many ancient Roman pavements and baths, Leicester was only granted a city status in 1919. This city is the centre for higher education and a melting pot with its diverse culture and its large ethnic population. The construction of rail and canal network spurred the industrial growth in the 19th century and today, engineering and the fuel industry are two of the largest economic sectors in the city. As the saying goes, when you want red diesel, you gotta get it from Leicester. Red diesel can be used for both residential and commercial purposes. It is used as your home’s heating oil and it is similar to diesel in many ways except the fact that it is actually illegal to use in personal vehicles that are hitting public roads. Alas, the use of red diesel for commercial purposes are more comprehensive. It is mainly used by engineering and plantation firms to power up vehicles and machinery on site to keep the cost of fuel down. In Leicester however, most red diesel is being used for residential purposes. Red diesel in Leicester is a huge industry. Whether you are a consumer or a business owner, you should seriously consider getting your fuel from Leicester diesel suppliers. Home heating oil is produced in mass quantities in Leicester and this helps keep the price competitive. Besides, most suppliers have excellent customer service and they guarantee prompt and reliable delivery. They accept a variety of payment options as well. Some of them even offer online ordering service for the convenience of their customers. Leicester red diesel suppliers have the fuel to meet all your needs and trust me, you will not regret doing business with them.